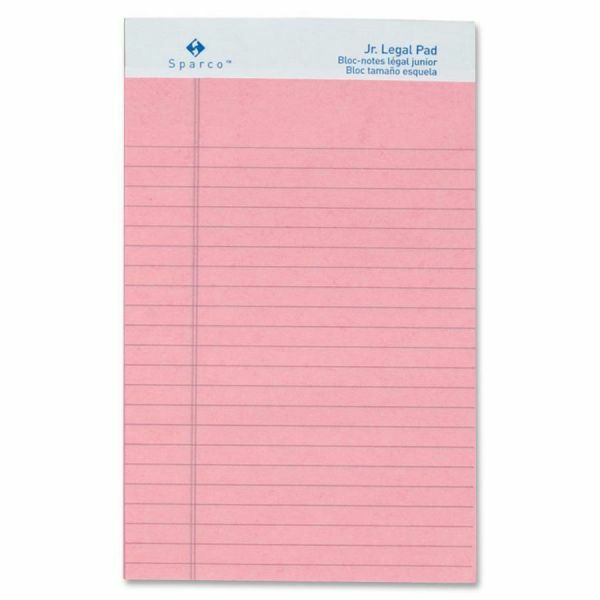 Sparco Colored Junior Legal Pads - Writing pads offer soft pastels with light gray ruling. Heavyweight, 16 lb. bond paper is microperforated for a clean tear-out every time. 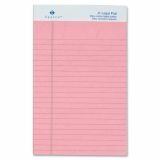 The stiff, rigid, 30 point chipboard back offers convenient writing support. Each pad contains 50 sheets. Each sheet is junior-ruled with 9/32 line spaces and a 1" left margin."